This modern converted barn is perfect for large families or a group of friends looking for a rural getaway. With the seemingly limitless countryside and visitor attractions there s so much to see in the area. 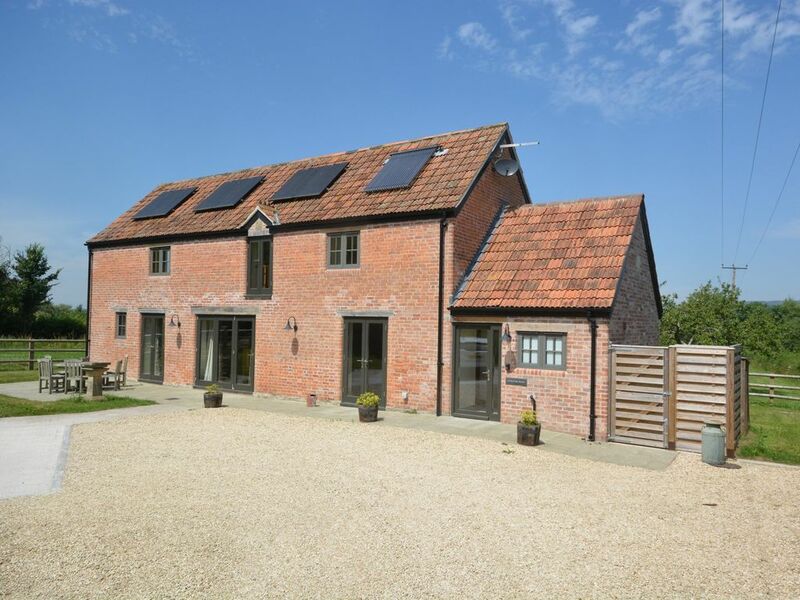 This detached barn conversion enjoys views of the Mendip Hills and the Somerset Levels. The location enjoys five acres of quaint farmland an orchard and a stream where you are encouraged to do a spot of fishing. Its rural location is a few miles outside England s smallest city Wells which has an iconic Cathedral and was the setting for the movie Hot Fuzz . Also visit Bishop s Palace or Glastonbury with its Arthurian legends and otherworldly feel. North Somerset also offers some great beaches as well as the historical Quantock Hills associated with some of the best British romantic poets. On entry you will find the first of the two lounges at the property. The first of which has tiled flooring comfortable seating and a TV/DVD relax with of an evening. There is also a collection of games books and films to enjoy. Close by is the garden room which offers views of the outside terrace and beyond. A fully-equipped kitchen / diner comes complete with a double electric oven and hob fridge/freezer a dishwasher and lots of work top space to put together some epic meals. The dining table has plenty of space for at least six diners. The utility room contains a handy washing machine and microwave for use; it also offers access to the front garden. Also on the ground floor is a bedroom with twin beds an en-suite wet room with WC and access to the outside terrace and garden. For convenience there is a WC on the ground-floor too. On the first floor are the other two bedrooms; the first of which is contains a king-size bed an en-suite shower room with WC and access out on to a Juliette balcony. The other bedroom has comfortable twin beds. The main bathroom offers a bath shower cubicle and WC. Also on the first floor is the second lounge where all the books and games can be enjoyed. Stepping outside the holiday home to the rear you will find an enclosed lawn garden with a decked garden furniture and BBQ to cook some al fresco treats on. You can also enjoy the adjoining orchard and fish in the fenced off stream. The front of the property is a corralled area enclosed by horizontal fence beams. Within the area is space for several cars to park.